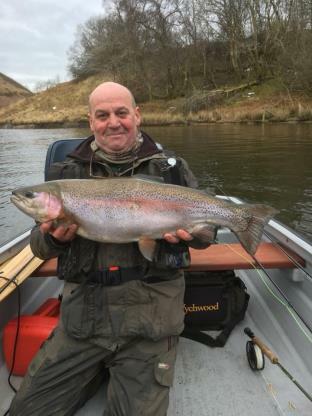 Clywedog continues in good form with plenty of fish feeding on the surface to a steady supply of cowdung fly. Some good bags of fish coming from the Bigga arm from both boat and bank. T Philips from Welshpool took a 6 fish limit from the bank in the bigga arm using floating line and buzzers. D Drifield and partner enjoyed a good day on the boat taking a limit a piece and releasing another 8 fish using hoppers fishing in the mouth of the Bigga arm down as far as Carters bay. Bigga arm, Gronwen field, Popular side and rainbow corner.